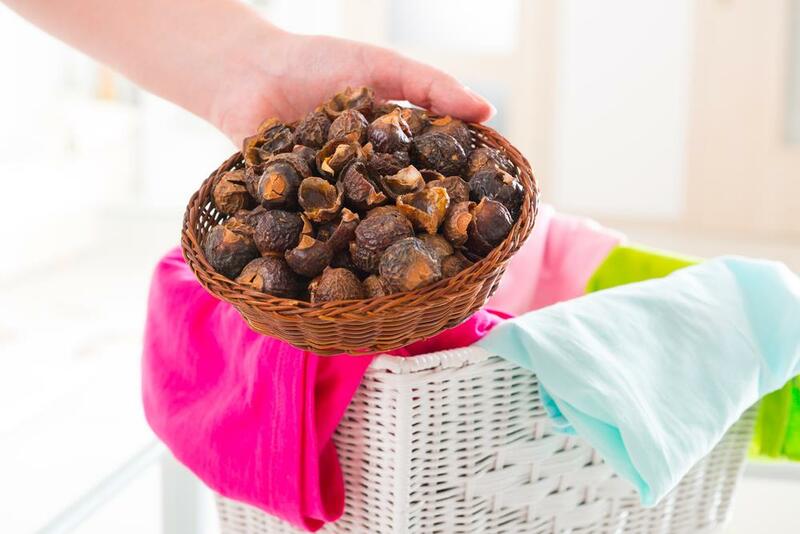 Sapindus mukorossi, also known as Soap Nuts or Wash Berries, have become one of the most popular ways to replace the toxic chemicals found in many laundry detergents. They are actually a fruit that develops a hard shell when dried. When you remove the seeds from inside the shell of 100% pure Wash Berries, you have a high concentration of saponin which is one of nature’s best cleaners. You only need 3-5 soap nuts per load of laundry to keep your clothes smelling and looking great. The only problem is that the rise in popularity has led to a number of sellers trying to pass off lower quality variations and grab customers with unsavory marketing tactics. It’s definitely important to check Soap Nuts Reviews before purchasing from a new company if you are considering making the switch to the natural cleaner. There are so many great uses for pure Wash Berries. You can add a few of them to a bucket of water and stir to a soapy mix that can be used on a number of different surfaces around the home. It’s safe enough to clean your pets or even babies, yet still tough enough to clean a bathroom or dirty car. The most popular use by far is laundry care, but it really is an all-purpose cleaner. Many people prefer to make soap nuts liquid because it is easy to use once made. It is a fairly straight forward process to make as well. You just need to boil 6 cups of water and add 20 or more soap nuts into a pot. Let that boil for about 15 minutes and add another 6 cups of water. In total, you should let the mix boil for about 30 minutes or until the water starts to evaporate. You will also need a sterilized jar. You will strain out the soap nuts and collect the remaining liquid in the jar. This concentrate should sit for at least two weeks in your refrigerator before the first use. Make sure the company you purchase your soap nuts from has a long list of reviews from satisfied customers. You only want to purchase 100% pure USDA Certified Organic Sapindus mukorossi soap nuts deseeded. Anything else will not deliver an effective clean. There are sellers that try to convince you that the smaller Sapindus trifoliatus will clean your clothes for half the cost. The only problem is the much smaller trifoliatus species has almost zero saponin so you will be disappointed. You also want to avoid Soap Nuts Full or Whole. This simply means they left the seeds in them. The seeds do not have any saponin either and just add weight to the package. You won’t be getting a deal. You’ll just be getting less of the natural cleaner.